Dragon Boat Festival (Duan Wu Jie), the 5th day of the 5th month on the Chinese lunar calendar, is a widely celebrated festival amongst the Chinese, to pay respect to the patriotic poet, Qu Yuan (pronounced as Chue Yuan). The legend involves a really long and complicated throne-fighting war and political history. But to make a long story short: Qu Yuan was an important minister back in Chu Kingdom in ancient China. 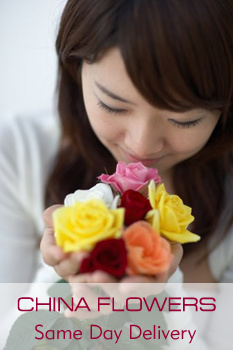 He had been known for his loyalty for the emperor of Chu, and loved his country greatly. However, His Majesty had not taken Qu Yuan’s advice seriously, and he eventually got himself trapped and captured in a foreign land by his enemies, which then lead to his own death. 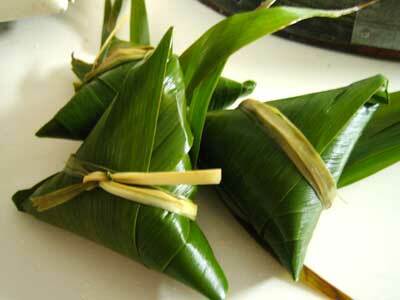 The main food eaten on the holiday, sticky rice dumplings (zongzi), are a triangular shaped bit of sticky rice wrapped in leaves such as banana or lotus. Popular fillings for zongzi include date, peanut, or pork.